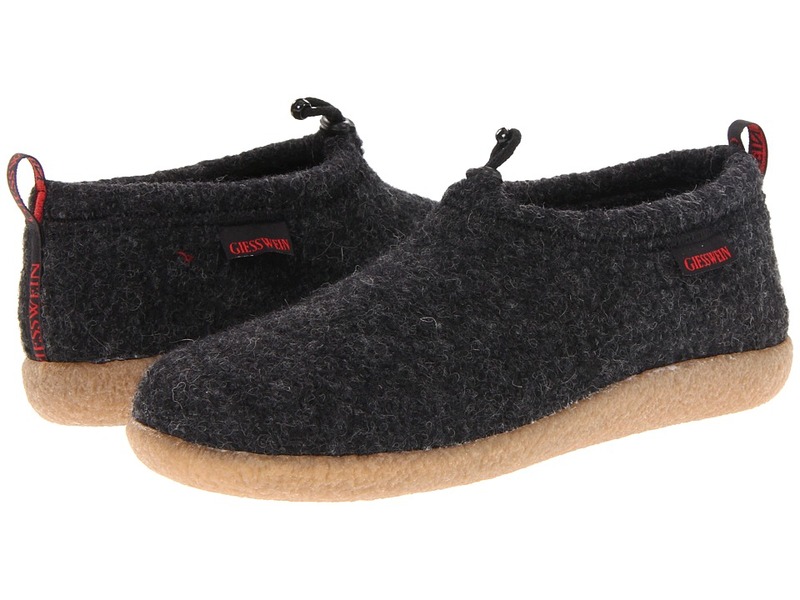 On those cold winter nights, keep your feet toasty warm in the Giesswein&amp#174 Vent Lodge slippers. Upper is made of double layer 100 percent natural boiled wool which is naturally water-resistant and temperature-regulating for year-round wear. Adjustable quick-tie toggle provides a custom fit while the heel loop offers easy one-handed on/off wear. Cushioned footbed with arch support can be removed to accommodate custom and over-the-counter orthotics. Soft microfiber lining of 50 percent synthetic and 50 percent natural cellulose. A buffer inner sheath of ultra-thin, breathable microfiber is inserted and stitched in between the two layers of wool to reinforce the toe area to prevent premature poking through and to also help this area of high impact keep its shape over time. Slip-resistant and waterproof rubber outsole with a rocker heel to give a more natural walking gait. Made in Austria. Measurements: Weight: 14 oz Product measurements were taken using size 44 (US Men~s 11), width Medium. Please note that measurements may vary by size. Weight of footwear is based on a single item, not a pair.